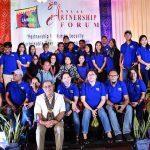 In its celebration of its 11th year of Empowering Communities in their 8th Annual Partnership Forum last 4th of July 2018 at Marcian Garden Hotel, this City, ZABIDA gathered around 300 representatives from its Partner Government Agencies and other Line Agencies, Partner Barangays, Partner Schools and other members of the Civil Society. Certain Significant Partners from the City and neighboring Basilan Province were awarded with special citations for their generous contribution in the Program Implementation of ZABIDA in their Partner Communities and Partner Schools. And, for ZABIDA’s continuous effort in addressing concerns and issues on Human Security they invited United Nations Development Program Programme Coordinator Jaime Antonio Jr. to present the 17 United Nationas Sustainable Development Goals and UNDP’s program to localized them, emphasizing the extent of assistance that UN can provide through Local Government Units and Non-Government Organizations. ROOF President, Dr. Grace Rebollos briefly shared updates and progress on Participatory Governance Program, highlighting the Logisitical and Technical Supports provided. 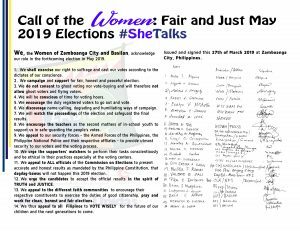 Thereafter, the documentary presentation on Human Rights as Everyone’s Rights which is produced by ZABIDA, the Comission on Human Rights Regional Office IX and the Philippine Information Office Regional Office IX. 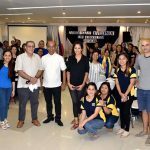 Thereafter, Zamboanga City Administrator Marie Angelique Go, Basilan Governor Jim Saliman, and Manos Unidas Country Representative Jessica Del Olmo expressed solidarity messages and reaffirmed their partnership for efforts on human security. Afterwards, journalist Maria Frencie Carreon, then, presented the book she authored entitled, “Scissors, Papers, Water, Stones,” as a literary work that “exemplified the fragility of human security.” The book, which featured the plight of the migrants to Zamboanga City who struggled through the years and survived housing challenges, has been critiqued positively in parts of Latin America and SouthEast Asia. It is almost a decade already since the group of religious leaders and peace advocates celebrated a communal feast with the joyful residence of the Islamic followers dominated village of Taluksangay, a far-flung community in the eastern part of the city. In the afternoon of June 2, the leaders and members of the Interreligious Solidarity for Peace (ISP) and Peace Advocates Zamboanga (PAZ) together with invited guests and visitors motored altogether to the small village of Taluksangay to reconnect and at the same time to celebrate solidarity with the local residence and officials there through the Iftar or commonly known as “pagbuka” during the month of Ramadan. Annually, both the ISP and PAZ sponsors an Iftar celebration during the holy month of Ramadan in pre-selected Muslim communities to extend their deepest solidarity with the Muslim faithful who are observing the holiest month of the Islamic faith. Moh. Zen Johan Nuño, representing the former Congresswoman of the city’s second district, Hon. 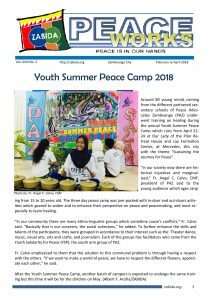 Lilia Nuño, highlighted during the welcome address that it feels good that the celebration of Iftar was celebrated once again in their peaceful community of Taluksangay after a long period of time. 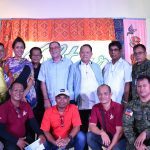 “If behalf of the Nuño family, we are extending our heartfelt gratitude for celebrating the grand Iftar in our community as this is in consonant with our efforts to bring together our community for peace,” he said. On 2008 the same celebration was held in the community which was sponsored by ISP and PAZ. The brief yet solemn program held at the community’s covered court with more than 150 attendees brought the gathering to reflect on the deeper aspect of solidarity for the Muslim community by the non-Muslim guests and visitors to the Ifar ceremony. “The gathering today for this Iftar celebration is a symbol of our solidarity for one another,” reiterated by Fr. 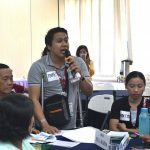 Angel C. Calvo, CMF the lead convener of ISP and President of PAZ during the solidarity message. For the ISP Muslim Convener, Prof. Ali T. Yacub, Al-Hj. he underscored the significant of Iftar in the Holy Month of Ramadan to enlighten the faithful and the non-Muslim guests and visitor. In a traditionally symbolic breaking of the Fast, the conveners of the ISP together with community Imam and the chieftain of the village Hji. Abdurahman B. Nuño simultaneously broke the fast through drinking of water.